Earlier this week, Twitch announced several exciting changes coming to the platform that will allow both streamers and developers to create engaging new experiences for their communities. Both an all-new API and interactive applications called Extensions will be launching site-wide. The announcements were made during PAX Dev and simultaneously live streamed from their Twitch Dev channel. The first major announcement was the launch of their video player overlays and interactive panels called Extensions. We covered the original beta test for some of these features back in June and they have just gotten better from there. During the platform reveal, Ryan Lubinski, Twitch’s Product Manager, shared some interesting stats surrounding the decision to build Extensions. Currently, 85% of partnered streamers have authorized 3rd party applications linked to their account. Over 130 thousand applications have been registered and over 4 million API calls are made every minute. 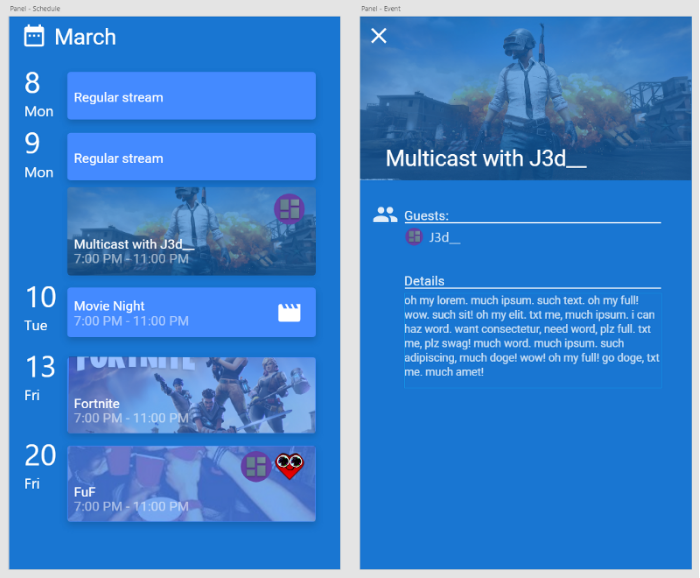 When considering everything the existing developer community has done to help broadcasters and the platform succeed, Twitch was looking for a way to accelerate that process and make it easier for everyone involved. Here’s where Extensions come in. So what are they? Extensions are interactive applications designed for live streaming and integrated directly on Twitch. 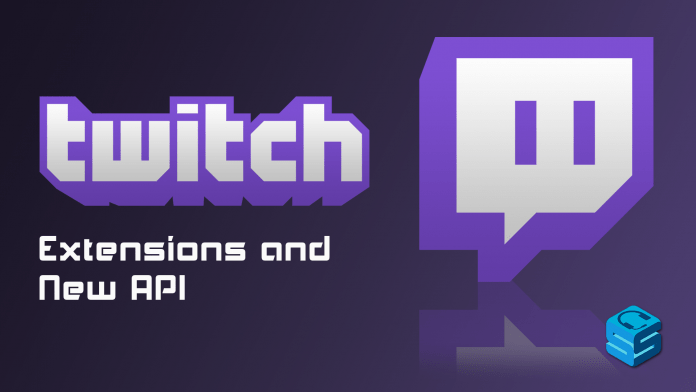 During the beta testing, Twitch saw unprecedented viewer engagement with extensions. On the initial launch of Muxy’s heat mapping overlay on Sevadus’s channel, the user engagement was over 79%. 3.2 million clicks were made by 30 thousand viewers in just 24 hours across all limited beta channels using Muxy’s apps. Adding new Extensions will be as easy as navigating to the new Extension Manager from your stream Dashboard. From here you’ll be able to discover new extensions, configure and install the ones you want, and then activate them when you want to turn them on. As a developer, you’ll be able to add descriptions for your extension, add screenshots, and provide configuration information. Soon™, all 2.2 million monthly streamers will have initial access to 22 Extensions created by Twitch’s 19 launch developers. You can find a list of these extensions on Twitch’s recent blog post. This means from day one of launch, broadcasters will be able to access and install applications to increase engagement. Each of these partners is bringing unique, interesting, and engaging widgets directly to the Twitch landscape. Broadcasters will be able to promote gear via a panel linked directly to their Amazon affiliate link. Other applications on launch will allow you to mouse over the Hearthstone board of a broadcaster you’re watching in order to see the deck they’re working with. Some will show dynamic live game stats on demand, provide raid bosses to fight as a community, Bit leaderboards, sentiment trackers and more. A cool feature Layer One announced they will be offering is a Schedule Extension. This will pull information directly from your Twitch Events page and display it in an interactive panel beneath the stream. An important feature of this Extension is that times are shown in users local time zones. Streamlabs is offering an app with an all-in-one approach. This will include loyalty points, games, polls, giveaways, music and more. Imagine being able to run something like a Strawpoll without requiring any of your viewers to leave your channel. Finally, chat without hundreds of lines of bot spam every time users check their loyalty points balance! All of these features will be accessible via a simple on-screen menu, similar to how the Start menu functions in Windows. 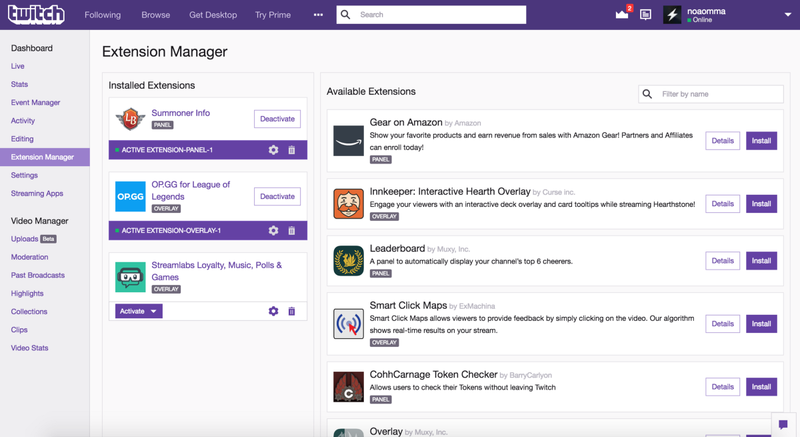 On launch, any developer will be able to build extensions on Twitch. In addition, Twitch will be looking to bring Extensions to more platforms (such as mobile) and make them available in more places around the site. They also plan to make them easier to develop and allow both developers and streamers to monetize from the extensions. Be sure to keep an eye on the Extensions page over the next couple of weeks as this new system comes online. The second major announcement to come out of PAX Dev was the launch of a brand new Twitch API. This has been completely re-written from the ground up with a focus on simplicity and reliability. The old versions of the API (v3 and v5) are now deprecated and scheduled to be removed from the site on December 31, 2018. Twitch will also be launching webhooks with the first one being for following. This means applications will no longer need to poll a channel constantly for updates on if a user has followed. Information about a new follow will simply be pushed to subscribed applications every time it happens. The coming API changes will greatly simplify the data around users, streams, and followers. Data models previously had a lot of overlap when looking at things such as users and their channels. These new models have been consolidated into a single “User object”. This means developers will have a much easier time accessing all the data they need for their applications. As a streamer, this means you’ll be able to do things like automatically notify your social media following when you go live. Entirely re-writing the API made it possible to provide a consistent experience for all users. Twitch is adding a status page to provide real-time insights into the performance of the platform. The Twitch API now also has a public roadmap that will include new additions, changes, features that have gone live and more. In an effort to improve site stability and better uptime, rate limiting will be enforced on the new API. This will be set at 2 requests per second and should meet the needs of most developers while still preserving the integrity of the site. It’s worth noting they also talked about their new ground-breaking metadata API that we briefly covered last month with the acquisition of ClipMine. As a result, the power of machine learning on Twitch will be available for anyone to develop applications with.